P.F. 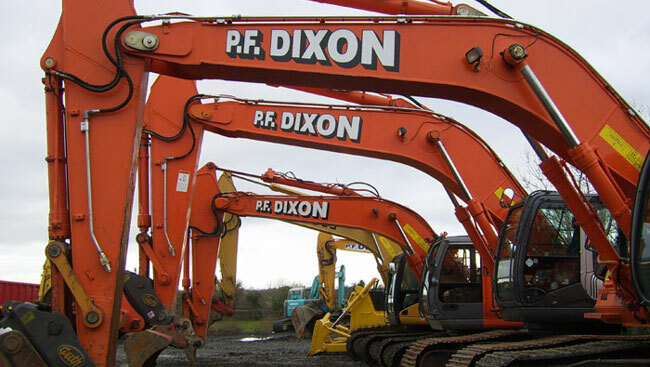 Dixon Plant Hire is one of Ireland's leading Plant Hire Contractors. Operating nationwide, we provide heavy haulage, grab hire, site clearance, excavation, demolition and low loader service, for contract or hire. We operate an extensive range of equipment including haulage and tipper lorries and trucks, rail excavators, track excavators, rail dump trucks and bulldozers.